January is Hot Tea Month, and this January, tea lovers everywhere can celebrate the first-ever National Hot Tea Day on January 12th. What a perfect way to warm up on cold winter days, and start the New Year off right! 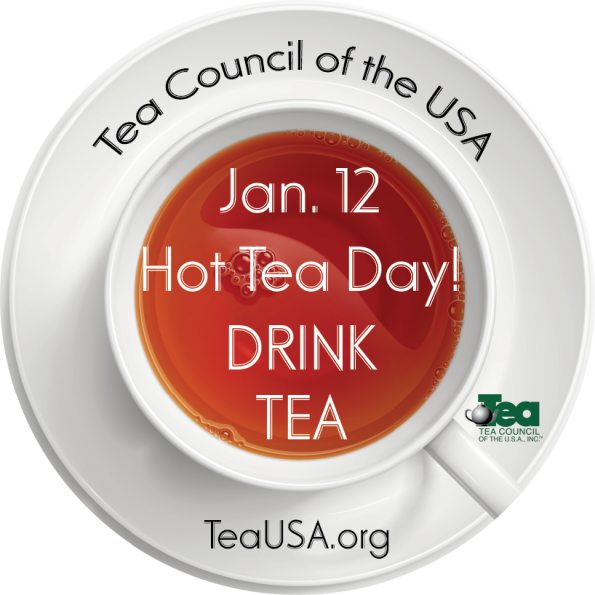 National Hot Tea Day is the brainchild of The Tea Council of the USA and Gail Gastelu, publisher of The Tea House Times. There is even a hashtag, so if you are posting your cup of steamy delight to Twitter, Instagram, or Facebook, please be sure to add #DrinkTea, so that everyone can share in your moment of tea-infused bliss. So in addition to being spoiled for choice as to what to drink on National Hot Tea Day and throughout National Hot Tea Month, I also have a large number of Darjeelings to add to my list of The 87 Single Estate Darjeeling Gardens! Woohoo! If you weren’t so lucky, a variety of tea retailers are offering promotions, discounts and/or winter sales to correspond with this momentous occasion, so it is also a great time of year to stock your tea cabinet.